The new challenge at Creative Fingers is sponsored by Becky’s Place. 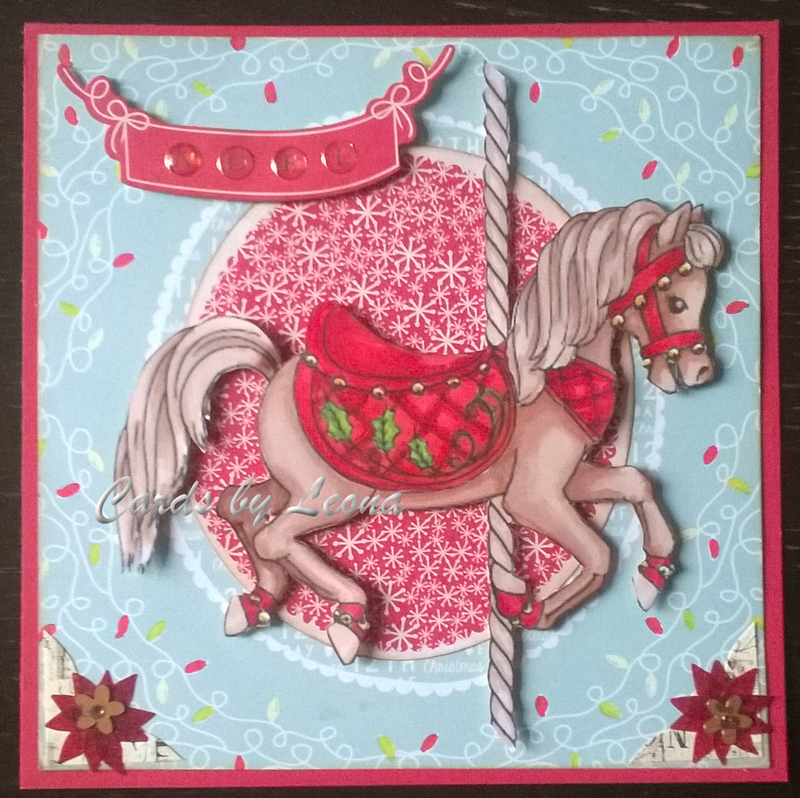 I have used a digi called Christmas Carousel Horse, which is available as a free printable on Beccy’s blog. 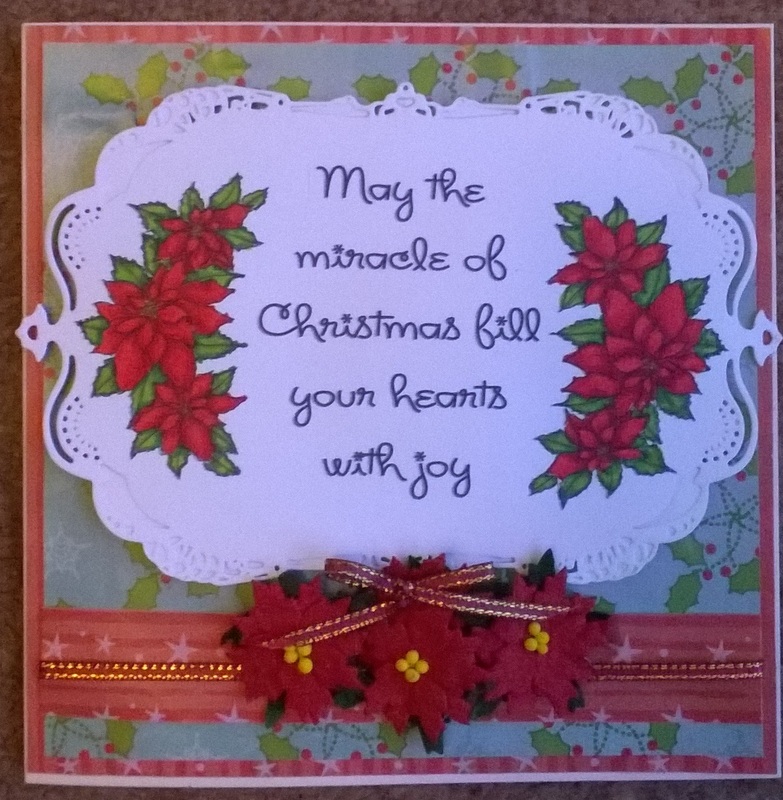 The papers I have used are from DoCrafts 12 days of Christmas range. The digi and the Christmas lights are coloured with Promarkers. I have made a Christmas card, by duplicating and flipping the digistamp and using it to frame a sentiment typed out in Serif CraftArtist 2. 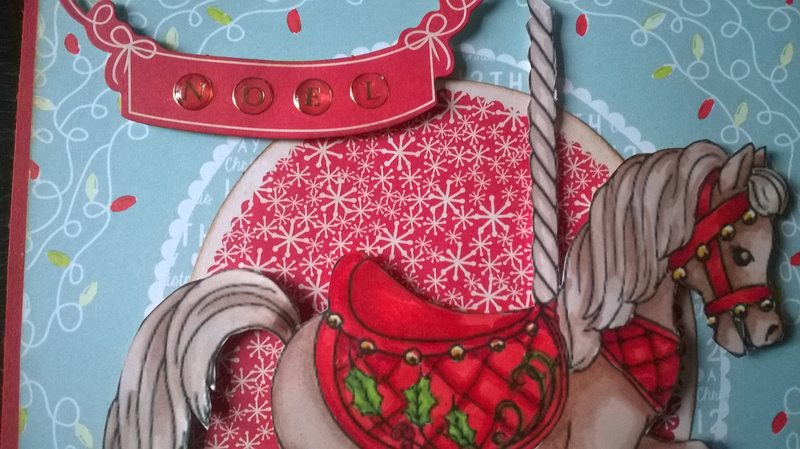 After being coloured with Promarkers, the topper was cut with a decorative Spellbinder die. It was mounted up using free papers which came with one of the magazines from Intermediate Media last year. 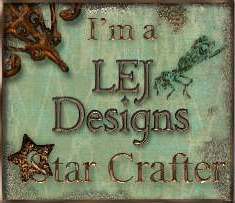 I have a rubber stamp with this sentiment and I use it and reproduce it in so many of my cards as I love it. 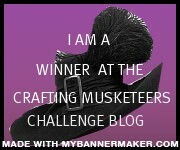 You can enter your ‘anything goes’ project at Creative fingers here. It is Friday… But Sunday is coming!